How do you tap into to your genetic potential? So you think you’re stuck with what you’re born with? Not so. Our genetic potential has barely been tapped. Most of us only use about 30% of our DNA. What do I mean by that? Well, when scientists finally decoded DNA in 2000 they found that less than one third of our genetic material was being expressed. The rest they called junk. We have since found out that the rest of the “unexpressed DNA” is anything but junk. Think of holiday lights taken out of storage. A tangled mess you plug in and only 1/3 of the lights are on. Now with a little work, you can disentangle the lights and figure out which bulb needs tightening or replaced and viola, they all work. Well, same with our DNA. The secret is how to tap into to our highest potential. Our DNA is a divine blueprint, a set of instructions for how to build and maintain our bodies, how to survive everything life on earth has in store for us, and how to thrive as the energy on the planet shifts from 3D to 5D and beyond. Yes, everything we need to manifest our souls’ desires while here on earth. Yet we were taught that what you were born with is all you have to work with. In other words, there’s no turning on more lights. I have never believed that DNA was static. And in 1984 just a year out of nursing school, I gave birth to a child who proved my intuition. My baby was born intersex. Back then the condition was called ambiguous genitalia and chromosome studies showed the baby to be an XY female. 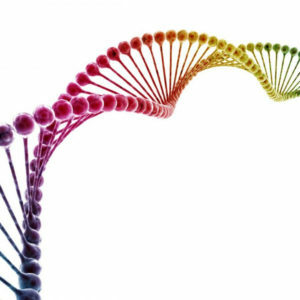 B: DNA can shift with nurturing–the physical, the mental, and the spiritual. In 1997 when I first opened my Intuitive Integrative Medical practice, I prayed to understand how the neuro-immune-endocrine system orchestrated health and dis-ease. So the universe sent me (or rather, I manifested) an influx of Hormonally Challenged patients, including many “learning disabled” children. Intuitively I knew that these children’s brains were starving. These were the children of the New Age, of our new earth. They do not learn as we do in old paradigm ways. And they needed highly absorb-able nutrition to optimize their genetic potential and help them thrive in the shifting energy. I developed micro-nutrient recipes using various supplements that I had their parents feed them. And the children woke up. They spoke for the first time. They began to socialize with their peers. They began to thrive. In the meantime, more and more Hormonally Challenged patients were coming from around the world. I had great success with bio-identical-hormone replacement therapy, yet it seemed I was creating dependency by replacing what the body should be making. Plus, the numerous bottles of supplements needed to enhance the aging or dysfunctional cell metabolism was overwhelming, while the children’s formulas had to be constantly adjusted. Could I do what I was asking my patients to do to be healthy? No. It had to be simpler. My research led to the maestro of the entire symphony of hormones, neurotransmitters, and immune cytokines—the hypothalamus. If I could feed the hypothalamus what it needed to orchestrate the system, then the hormones would be in harmony and sing beautifully to the DNA, which would dance in health and vitality. Maladaptive genes that cause dis-ease would turn off, so that more of our genetic potential could be expressed. The body would have what it needed to heal itself. My son, the child who started my venture into the science of medicine and the art of healing, advised that I meditate on what I was searching for and then see what came in my dreams. And I dreamt of a unique nutritional formula to support the hypothalamus and optimize genetic potential. That was over thirteen years ago and my creation, Genesis Gold®, has helped hundreds of people become healthy in body, mind, and soul. Some have called it therapy in a bottle, as once your body gets what it needs to optimize its genetic potential then old psychological patterns that no longer serve your new healthy self begin to arise to be cleared. I believe we are tapping into our highest genetic potential…aging more gracefully, becoming free of medications as our bodies heal, knowing innately what we need to thrive—physically, psychologically and spiritually. Genesis Gold® was gifted to me. Now I offer my creation to you.